Recovery of operations layers of the program “Adobe Photoshop” is the same as restoring the file from the done changes, however, this is not always possible, because the program memory stores a limited number of operations. 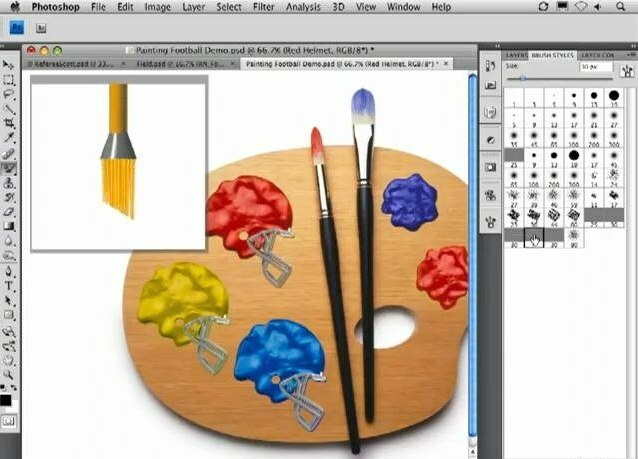 Open in Adobe Photoshop the toolbar, which contains information on major operations. To do this, click "Window" in the upper pane of the graphical editor and select "History". Then in the bottom right corner you should see a new window with two tabs: "History" and "Operation" (History/Actions in the English version of Adobe Photoshop). First, select and review the change history of current file. In order to restore the layers, return made to a file work to the desired level, in which all the layers were in place. Use also an alternative method of rolling back the changes to return layers in Adobe Photoshop. To do this, in menu edit the current image, press Shift+Ctrl+Z or Alt+Ctrl+Z to jump to the return or repetition of one or another of the perfect over the image of the action. Also you can do it from the main menu of the document by using "Undo" and "Redo action" in the "Edit" on the program panel on top. This method is not as convenient as the first, because you can't view the entire history, which is much easier to navigate and return to edit the picture to your desired position. Install memory Adobe Photoshop maximum number of in-memory operations, this will help you in the event you often perform a lot of operations on images, and their sequence contains too many items to store in the memory at the default settings. This is done in the memory settings in the menu "Edit". You can change the number of stored program steps to 1000, however, note that Photoshop will use a greater amount of system resources. When you re-open image after save it, the layers cannot be restored.